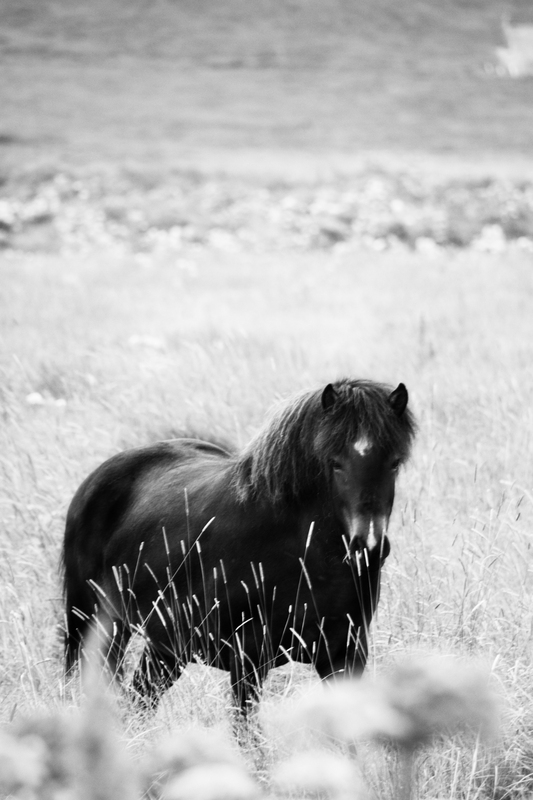 Another Icelandic horse in a field. Happy and pretty free. I like the paintin that the grass creates in front of the dark fur.